You’ll be hard-pressed to find a glass company serving Canton, Georgia, that can compare with the excellent customer service and invaluable experience of Kennesaw Glass & Mirror. Our company has some of the most knowledgeable glaziers in the area, with our employees having an average of 20 years of experience. In addition to being experienced, our employees are highly courteous. When any of our installers visit your home, you can trust they’ll treat your property with respect by wearing shoe booties, putting down protective gear on your floor, and leaving a clean job site. 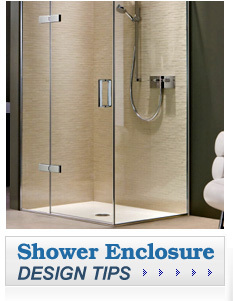 Our customers can trust us to stay abreast on the latest styles of glass and aluminum finishes. We’ll provide you with a wide selection of finishes and innovative designs that meet your needs as well as your aesthetic preferences. All of our products are fabricated in-house, ensuring a faster turnaround time than most of our competitors. Our glass company offer a one-year workmanship warranty on installed products and a five-year manufacturer’s warranty on insulated glass. Learn more about why you should make Kennesaw Glass & Mirror your preferred glass company in the Canton, GA, area – contact us today. One of our friendly team members will be happy to answer your questions and tell you about the different services we offer.